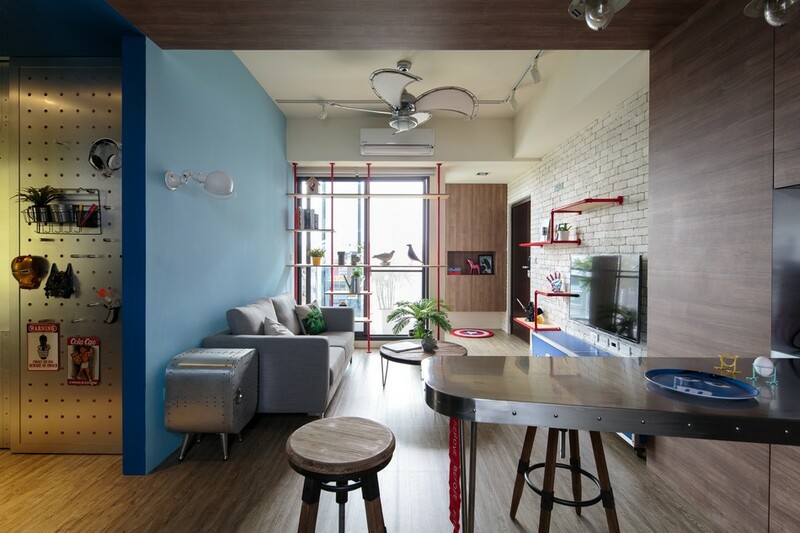 Located in the Taiwanese-American martial foreign-style houses community, this harmonious modern home was originally part of an individual building which had been constructed with old-fashion decorating. However, the life of two newlyweds was about to start here, so a new modern approach was necessary. Z-AXIS DESIGN chose the special iron blue to be the leading role of the space. The sofa back wall with grass-green wire frame cleverly makes a visual division between the living room and the kitchen.